We have houses for sale as well as hunting and recreational properties for sale in Floyd, VA. Our inventory of Floyd homes, cabins, farmhouses and properties with acreage spans beyond Floyd County, Virginia into multiple surrounding counties. We have a team of qualified residential real estate specialists native to Floyd County and the surrounding areas of Virginia, our team has been buying, listing, selling, and appraising property for more than 30 years in southwest Virginia. United Country Real Estate | Blue Ridge Land & Auction Company was founded in 1991. The office has achieved national recognition as a top 10, top 1% office in the nation and achieved the prestigious national excellence in marketing award, the “Genesis Award” in 2016. Our experienced team is confident that we have the knowledge and expertise to help you with your real estate and property needs. and personal property associated with real estate depending on your needs and objectives. The United Country Real Estate | Blue Ridge Land & Auction offers properties to meet essentially every lifestyle. 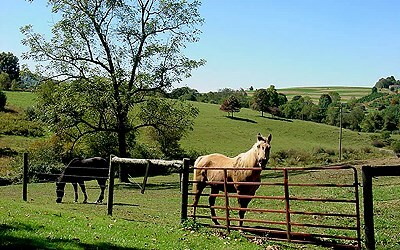 We offer homes for sale in Floyd and other surrounding small cities and towns, country homes with acreage, horse property, weekend vacation homes, historic homes, golf properties, farms and hobby farms, vineyards, ranches, recreational, hunting and fishing tracts, mountain properties and commercial businesses in this area. Our office provides real estate and auction services in Floyd, Giles, Montgomery, Radford, Roanoke and Pulaski Counties as well as other VA counties with some specialty properties. Virginia’s Floyd County is a quaint village nestled atop a high plateau in the Blue Ridge Mountains of Virginia. This is a charming, rural county that boasts only one stoplight, no four-lane roads and is famous for some of the best folk and bluegrass music in the nation. 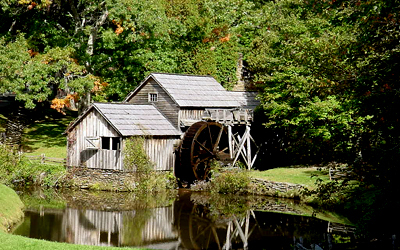 Along our 40 miles of the Blue Ridge Parkway, explore the historic Mabry Mill, Rocky Knob, Smartview, and Rock Castle Gorge National Recreation Area. Come and see why so many people visit Floyd every weekend, for the hugely popular Floyd Fest or to see the famous Floyd General Store. Here, about 45 miles southwest of Roanoke, you will also find the mighty Buffalo Mountain with an elevation of 3,971 feet as well as beautiful forests, rolling streams and abundant wildlife. In every direction, you also have easy access to Claytor Lake, New River, Little River and Smith Mountain Lake. If the hustle and bustle of modern life has you down, purchase a Floyd, VA home for sale, a recreational retreat, cabin or farmhouse with acreage and discover a new pace of living & lifestyle. Contact us today.